Illinois Federation for Right to Life: New York, Illinois in competition to "glorify" baby killing? The very same day that Pritzker signed his executive order to implement fully a measure signed into law by previous GOP Governor Bruce Rauner, New York surpassed Illinois by making it legal to end the lives of unborn babies up until their birth. New York's effort gives direction as to what Illinois taxpayers could be required to fund in the days ahead. 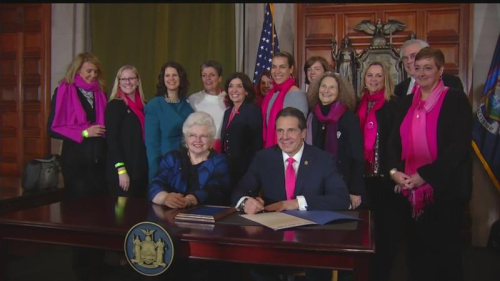 The New York legislation had previously been blocked for years by Republicans, but was easily approved by Democrats this week, who now control both chambers of the state legislature. The same is true of Illinois. Illinois and New York competing to be the most "progressive state" concerning mother's rights to end their babies' lives? Sadly, that's not so exaggerated.